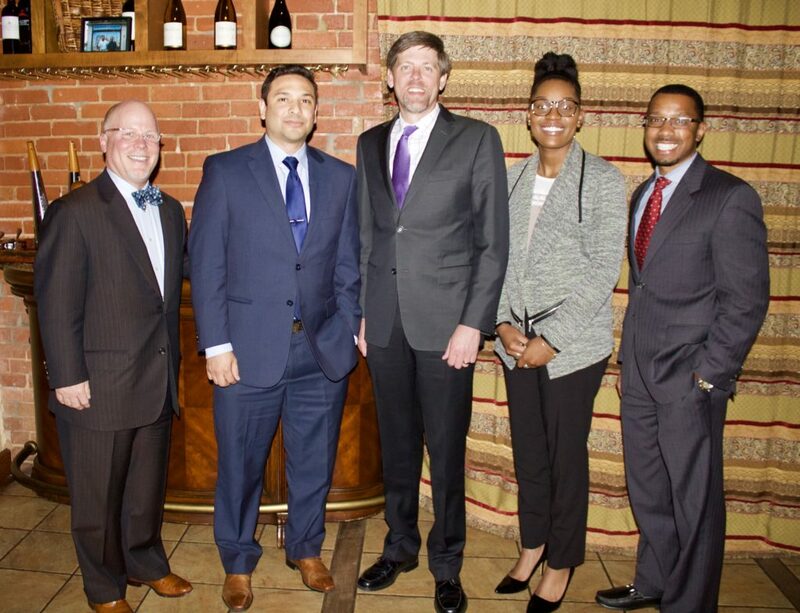 NORMAN, Okla. – University of Oklahoma College of Law students Matthew Acosta and Micah Mahdi recently received $10,000 scholarship commitments from Crowe & Dunlevy. Designated for first-year law students, the award consists of $2,000 per semester, which may be renewed in each of their remaining four semesters of law school, based on satisfactory progress and performance. The Crowe & Dunlevy Diversity Scholars Program assists students from diverse backgrounds who qualify based on academic achievement, financial need and commitment to the law. The firm has awarded more than $250,000 in scholarship funds to OU Law students since 2005 through this program. A member of the University of Oklahoma College of Law Dean’s Honor Roll, Acosta graduated from St. Edward’s University in 2006 before pursuing advanced certifications in school psychology and administration. He worked in multiple school systems in Texas as a licensed specialist in school psychology and as a special education coordinator before relocating to Oklahoma to study law. Currently, he is a member of the American Constitution Society and the Hispanic National Bar Association. Mahdi is a 2016 graduate of the University of North Texas (UNT). During her undergraduate career, she helped found UNT’s chapter of The Society for Collegiate Leadership and Achievement and was a semi-finalist for the Fidelity Investments Integrated Case Competition. Today, she serves as class treasurer for the Student Bar Association and is a member of the Business Law Society.